Some people might want to SEO their main WP Coupons archive page. We are a big fan of the WordPress SEO plugin (previously known as Yoast) and so this tutorial will assume you are running that. 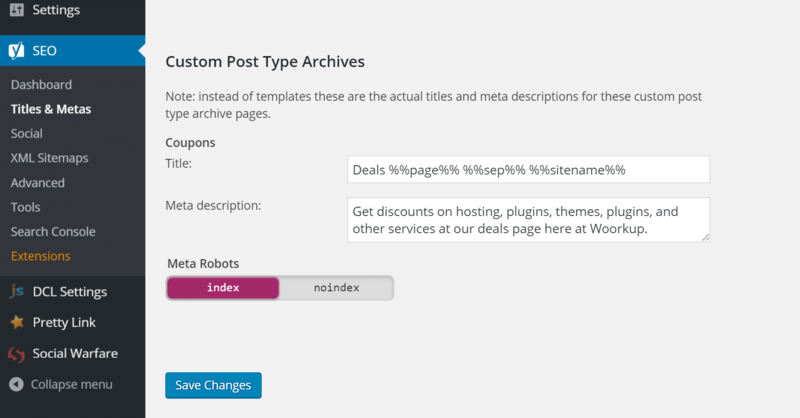 In your WordPress dashboard click into the WordPress SEO “Titles & Metas” options. Then click into the “Post Types” tab. 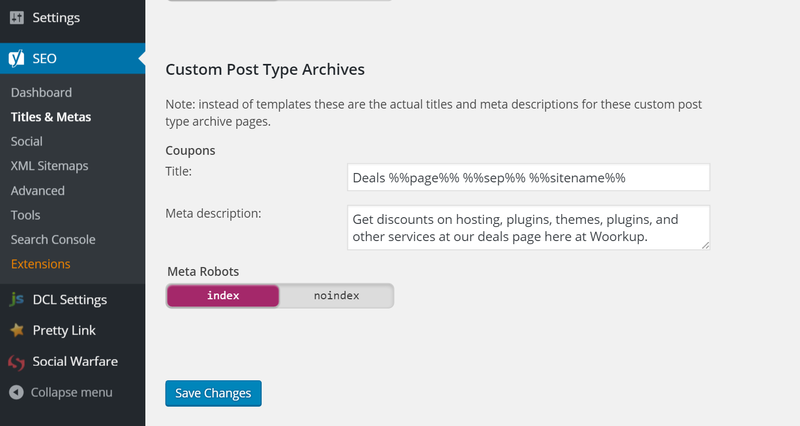 Scroll down and there will be a new custom post type for the WP Coupons plugin. You can then give it a title and a meta description. You can also SEO each individual coupon like you normally would a page and or post, as the WordPress SEO options will be in the bottom meta box as usual.